It’s been quite a summer in Long Lake and Raquette Lake. The weather has cooperated by providing us with glorious sunny weather, much to the chagrin of the overworked Water Departments in District 1 and District 2! We had a roster of events entertaining residents and visitors alike and the Town of Long Lake would like to thank all the individuals and organizations who volunteered their time to add vibrancy to our summer schedule. The outstanding commitment and passion is infectious and greatly appreciated. Thank you’s – in no particular order and I apologize in advance if you didn’t get a mention and please forgive me if I missed you ! Just drop me a line and I will add your name! The Adirondack Lakes Center for the Arts for bringing us My Adirondack Life, Frog and Toad, Godspell, Shakespeare in the Park, Spelling Bee, Kimberlee Akimbo and so much more. 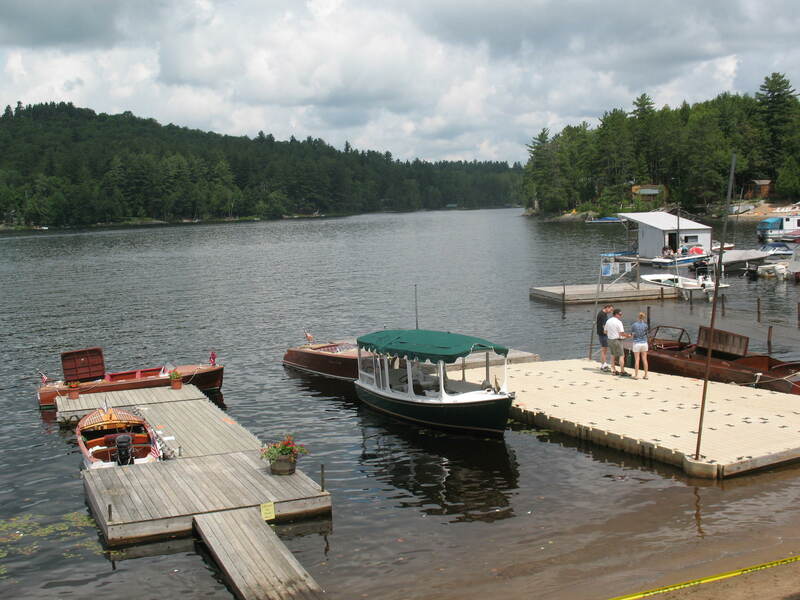 The Raquette Lake Fish and Game Club for sponsorship of the Lamphear Memorial Fishing Derby, the Bass Fishing Derby, the Kid’s Fishing Derby and Derby fun all year long. Jim and Mary Jo Waite for coordinating the Long Lake Kid’s Day Derby in June. The Long Lake Fish and Game and Club for coordinating the Opening Day Derby and the End of Summer Bass Derby and sponsorship of the Kid’s Derby and all Pistol Tournament and the Trap Shoot Tournaments and for gaining momentum for membership! Hamilton County Tourism, Bill Osborne, Dean Nervik and Christy Wilt for publicizing Long Lake Events and coordinating the Birding Festival Tours in Long Lake. Thanks to tour guides Bill Labes and Joan Collins and John and Pat Thaxton, RL Naviagtion and if I missed anyone.. I’m sorry! Scott Mariam and the Bear Bait Radio Club for Ham Radio Field Days operation and look for their Ham Radio Class and Test in October. Patty Farrell and Shirley Ware for helping coordinate the First Ever Adirondack Quilt Camp! The CV Whitney Long Lake Library for their reading program and great workshops and lectures throughout the summer and all year long and of course the Book Sale! 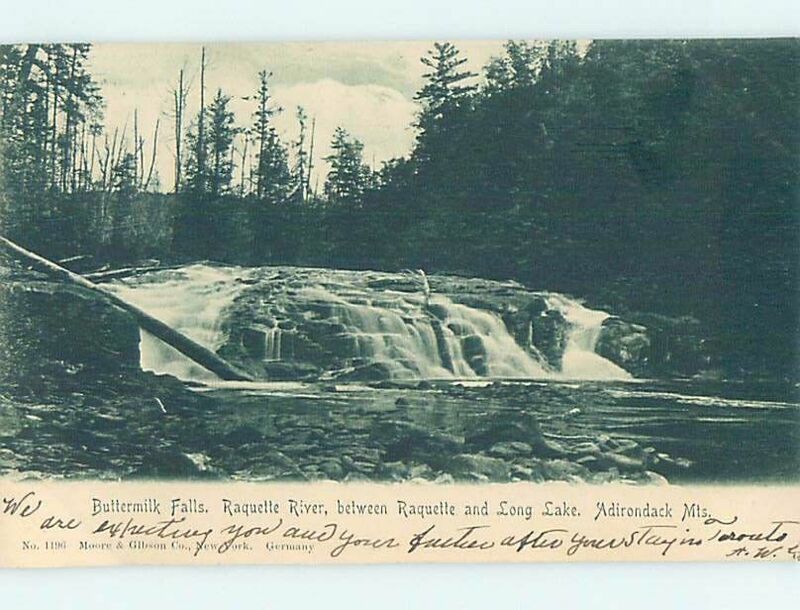 Thanks to the Friends of the Long Lake Library for sponsoring the Great Adirondack Auction and the Art and Photo show. Thanks for your patience for our limited building space this year! The Raquette Lake Library for sponsoring Puttin’ On the Ritz and great Wednesday programs in the summer and all year long including Gerry Lemmo, Mitch Lee, Jeff Boyer and Bubbles and the RL Book Sale on the Busiest Weekend of the Year. St Williams on Long Point for their Thursday concert series and special concert for Durant Days! Raquette Lake Fire Department for the use of their building on busy holiday weekends for the Strawberry Festival and the Fishing Tournament and Hunter’s Dinners in the fall and for being on call when they are needed the most! And thanks for the great and ever popular auction! A crowd pleaser every year and for a great cause. Raquette Lake Supply for the use of the Village Green! Thanks for your generosity Mr. Dillon! Burke’s and Bird’s for registration location for the Boat Parade and for sponsorship of the Cardboard Box Races. 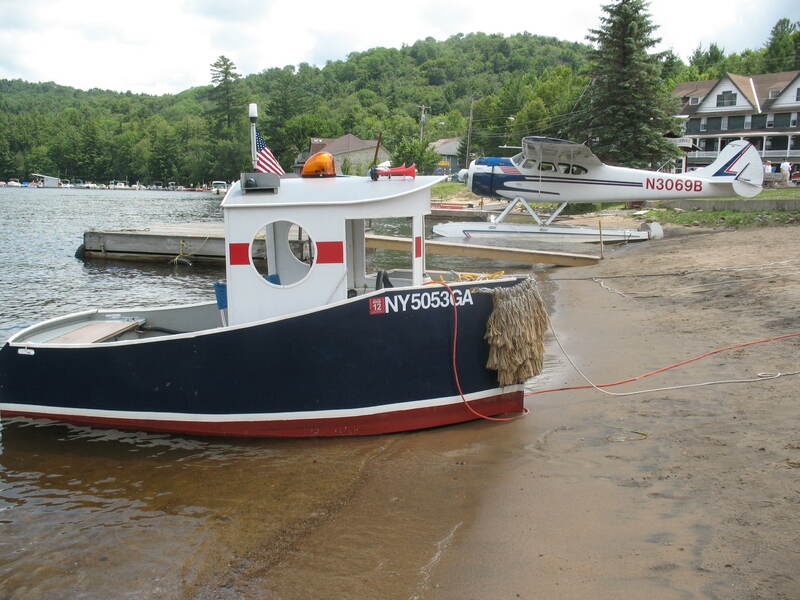 RL Navigation for helping coordinate Durant Days weekend and promoting the area and loaning of the barge for all the fireworks shows over Raquette Lake. All 4th of July Bed Race participants! Great job! Can’t wait to see what you come up with next year. Chip Farr, Craig Wamback and Bill Pohl for their professional fireworks displays. Stan Holowinksi and Beth Davis for coordinating all the fun Raquette Lake Town Events and for putting out all the brochures and calendars all over town! The Raquette Lake Tap Room for sponsorship of events all year long. The Long Lake Fire Department for their yummy 4th of July BBQ, the 75th Anniversary Weekend, Parade, music, games and fun and the Labor Day BBQ! Keep raising money for that new building! Friends of Music a the United Methodist Church and Jackie Mallery for coordinating the very popular music programs on Thursday evenings in the summer. Great Camp Sagamore for their free tours during Durant Days and their generous gifts for all our Float Nights and Cardboard Box Race competitions! Northern Needles for the Biennial Quilt and Needlework show. Thanks to Mary Blanchard for coordinating the Raquette Lake Craft Fair on the Busiest Weekend of the year! The Order of the Eastern Star #745 for the Pie Sale, donations to the Teen Center and their Adopt – A –Highway Area and much much more all summer long! The Beautification Committee to jumpstart the summer. Fred Short for helping weed at the Medical Center.. it’s a start! Sam Bateman, Pat Benton, Francie, Doug Blodgett, Michelle Helms and Doug Finlay. Thanks to Chris Blumberg and all the volunteers planting the flowers in the barrels all around Long Lake. Thanks to the Long Lake Association and the Raquette Lake Property Owner’s Association for co-sponsoring the Lake Steward Programs to keep our lakes healthy and prevent the spread of invasive species! Thanks to the Forest Rangers Jim Waters & Jason Scott for helping revise the text for the Long Lake and Raquette Lake hiking brochure! Thanks to the businesses for staying open and offering specials and events and trying new things! 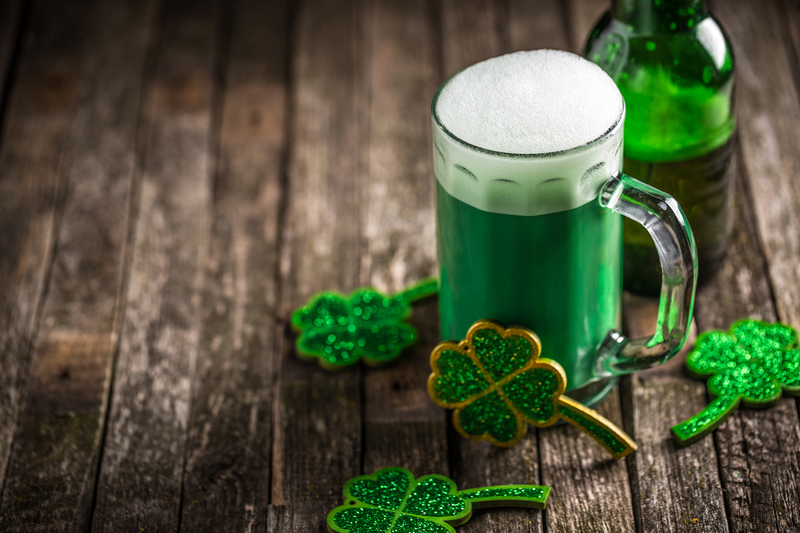 Thanks to the Hamilton County News, the Weekly Adirondack, The Adirondack Express, the North Creek News Enterprise, the Adirondack Daily Enterprise and the Adirondack Almanack for listing and promoting our events! Thanks to a great Parks and Rec Staff, Cindy Black, Amanda Helms, Kelsey Tebo, Seth Baker, Devin Tokarz, Erik “Opie” Arsenault, Cari Verner, Brooke Chartier, Casey McDermott, Derek Vill, Danielle Gagnier, and Sarah Paiement. Thanks to the Highway and Water Department of Long Lake and Raquette Lake for helping out whenever we needed you. 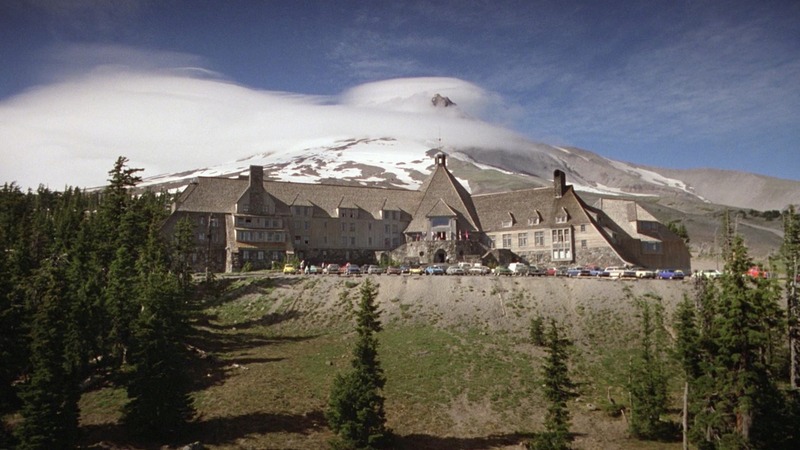 And again, if I have neglected to list you personally, I do apologize, there was so much going on this summer I simply couldn’t list everyone and I’m sure I missed something crucial, but that’s because the phone is ringing with plans for next summer! Goggles and a chair couldn't keep this guy afloat! 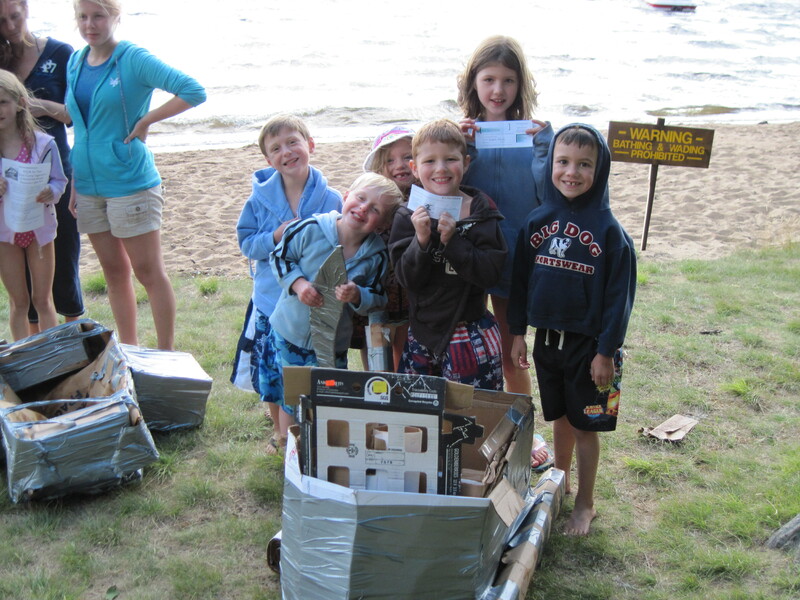 On August 13, 2010 Float Night at the Long Lake Town Beach drew a great enthusiastic and competitive crowd. 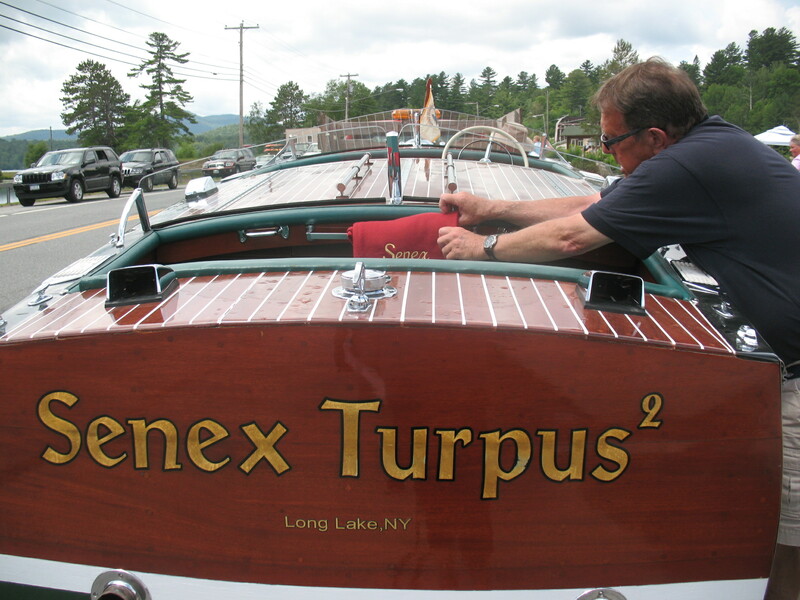 25 teams entered to compete for prizes ranging from a seaplane ride for two to a pizza cruise on Raquette Lake. Some folks got their competitive edge up when one boat (pictured here) arrived with a plastic chair. Judges ruled the chair would be acceptable as it was not considered “flotation savvy” He did manage to stay above water for a competitive period of time, but other contestants definitely had their competitive concerns. Hey… this is vacation, we’re here to have fun! Thanks to the Horseshoe Lounge Playboys who arrived in their bus and played a great set of original Americana bluegrass music beachside. For more photos check out www.facebook.com/mylonglake for over 90 pictures. Fan us, friend us! These two boats tied in the first heat. 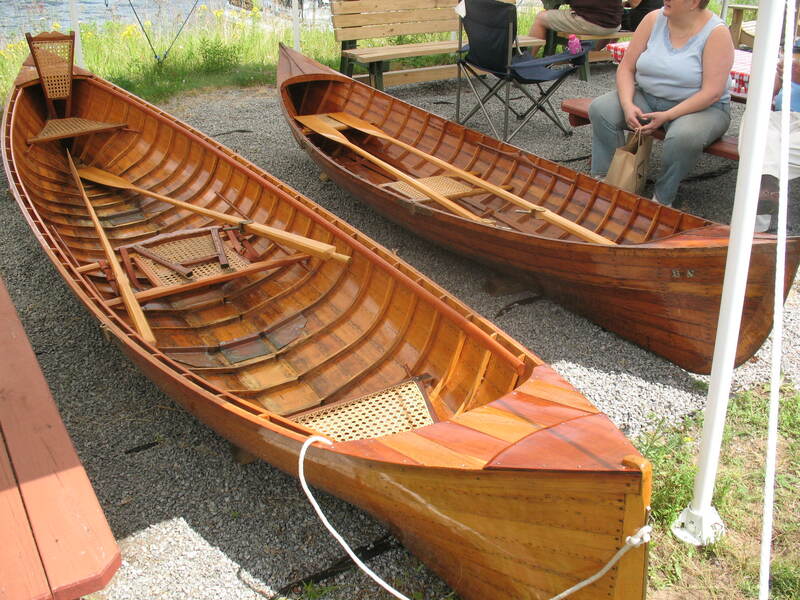 The Long Lake Boat Show on July 10th showcased a total of 16 boats. Starting at 10am boats were on display from the Town Dock to the Town Beach. Maps were available at a tent set up as a voting station at the town beach. 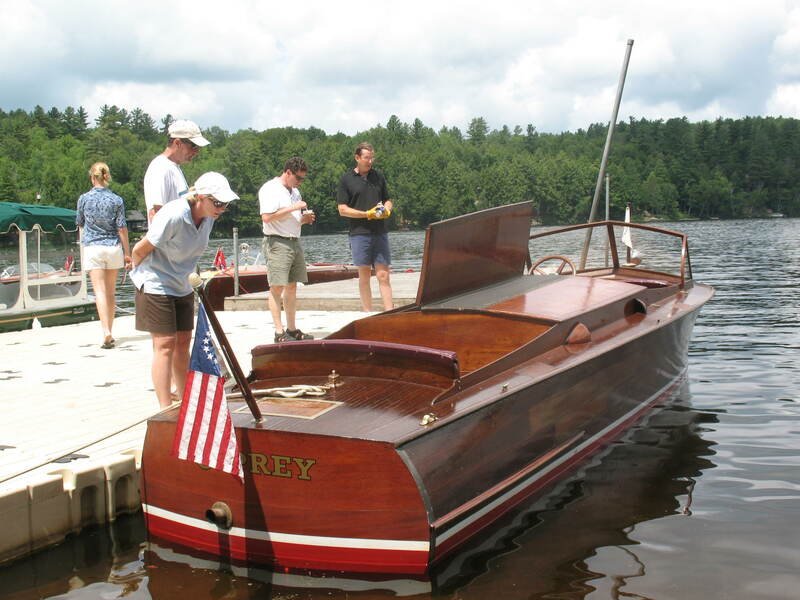 It was a community all-volunteer effort to launch the Wooden Boat Show in its first year. 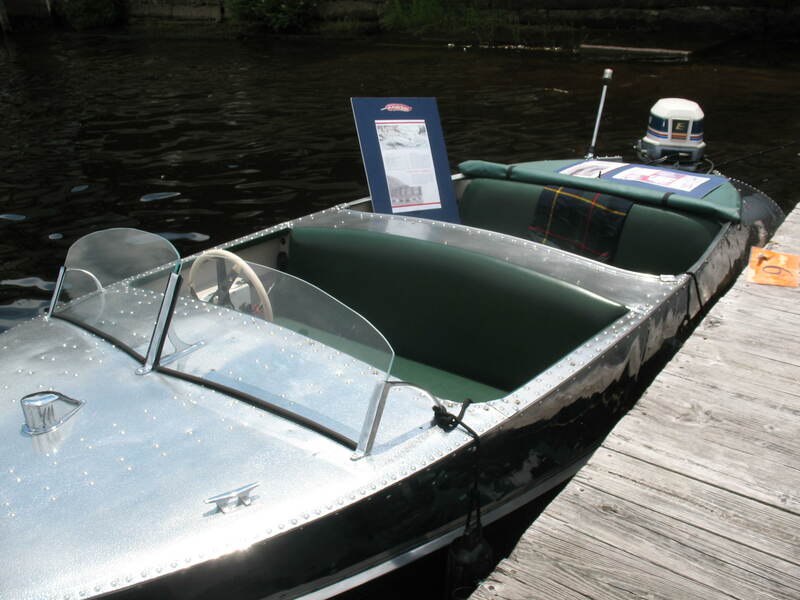 Boat owners participated in a boat parade at 4pm and the day rounded up at the Adirondack Hotel to award a trophy for Spectator’s Choice to the Rivette’s 1961 Chris Craft. Docks and space for docking were provided by The Town of Long Lake, Helms Aeroservice, Pat Benton, Long Lake Boat Tours and Lakeside Knoshery, Dr. William Lee, Motel Long Lake, Dixie LeBlanc. Robert Keogh and his grandson Robert helped coordinate the docking of boats and Ric Knox of American Boatworks spearheaded the effort to bring this event to life by encouraging boat owners to participate. There were seven docks and 16 boats, some boats were on display near the waterfront and on the road side. 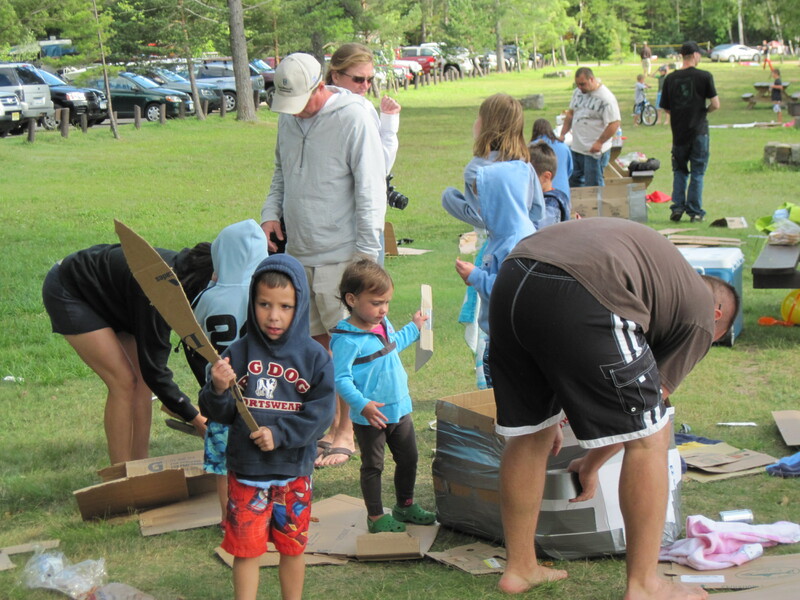 The Town of Long Lake hosted Cardboard Box Derby Races in Raquette Lake on Saturday, August 7, 2010. 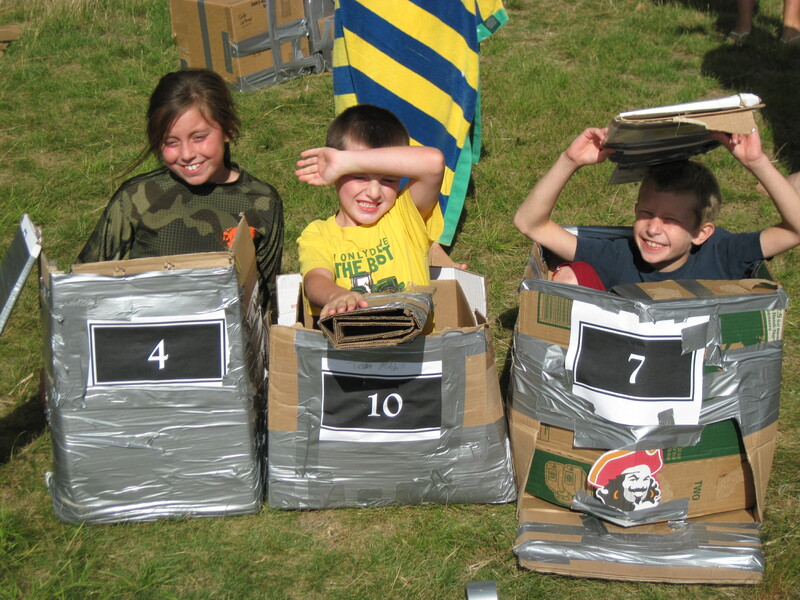 Nine Teams participated in building their creations out of cardboard procured from top secret area locations. Event organizer Amanda Helms takes great pride in using recycled material for these ingenious family oriented, fun races. The rules are simple. Sign up as a team and all members sign a waiver. 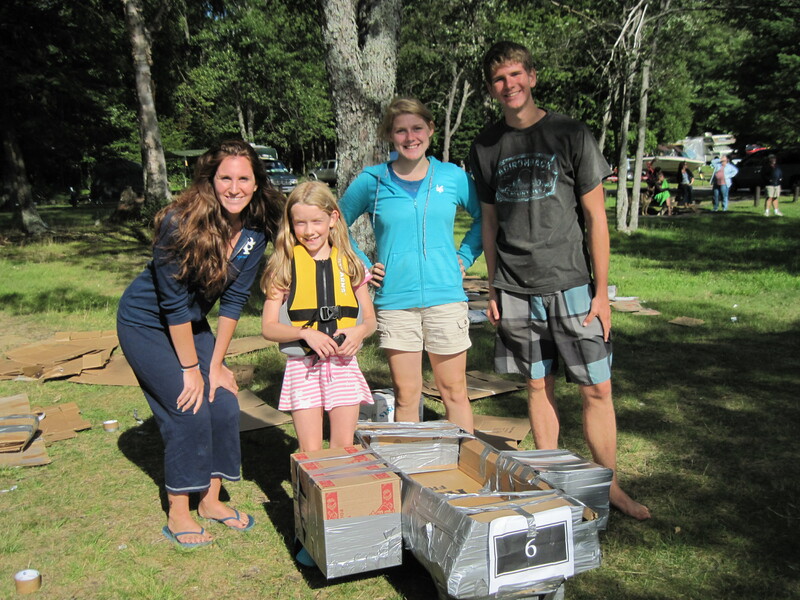 The team creates a box boat using only cardboard and duct tape. The cardboard arrived via a Long Lake Town Parks and Recreation vehicle around 3:15pm and the teams began their job. 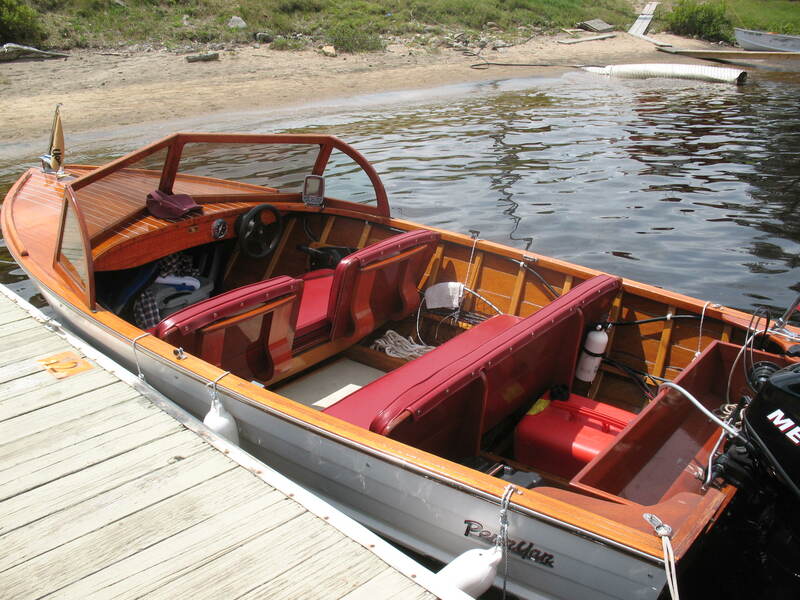 Once the boats were created, one member, usually the lightest, takes the captain’s seat. Life jackets are recommended and the Golden Beach Lifeguards were on duty near the boats if one was submerged. Opponents gathered and the race began. In Raquette Lake the floating lasted over 30 minutes out racing Long Lake’s first foray back on July 16th by twenty five minutes. Thirty minutes is a well designed masterpiece and team Rochester #3 won. 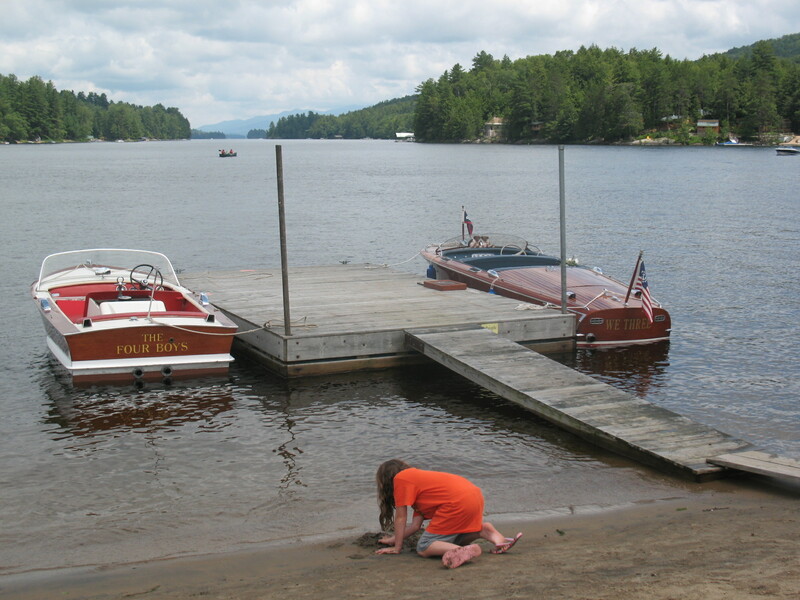 They won a free Boat Rental from Burke’s Marina and a T-shirt from Raquette Lake Supply. Coming in second was “The Eminator” Team # 6. They received a gift certificate for $25 from the Tap Room (unfortunately the original gift certificate creation was swallowed up by Raquette Lake and Amanda Helms had to recreate the gift certificate on site with a piece of lined notebook paper she conveniently had available on her clipboard.) The second place team also scored a tour for two of Great Camp Sagamore. 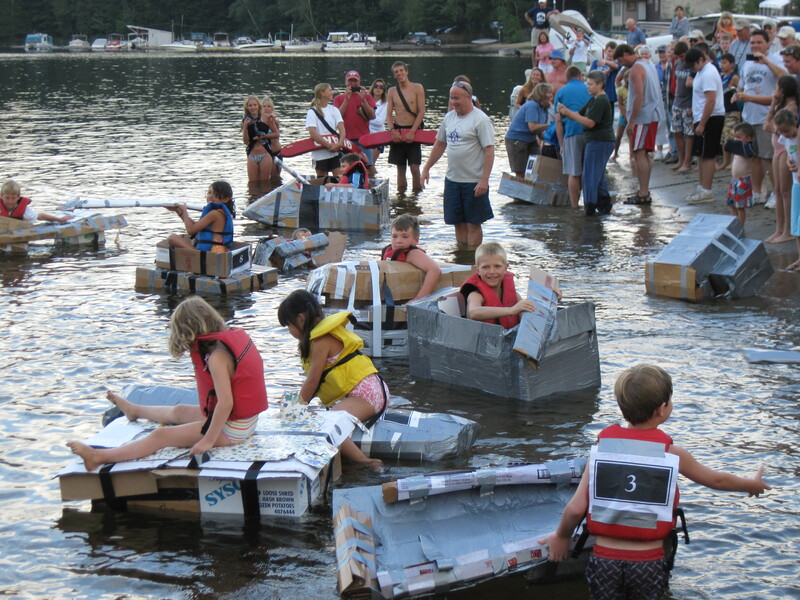 The next Cardboard Boat Races will be on Friday evening, August 14th at the Long Lake Town Beach. The event starts at 4pm. Races are slated for 6:30pm. Live Music by the Horseshoe Lounge Playboys. See you there! On August 13th, the Horseshoe Lounge Playboys will be entertaining at the Long Lake Town Beach during Float Night from 4pm to 7pm. 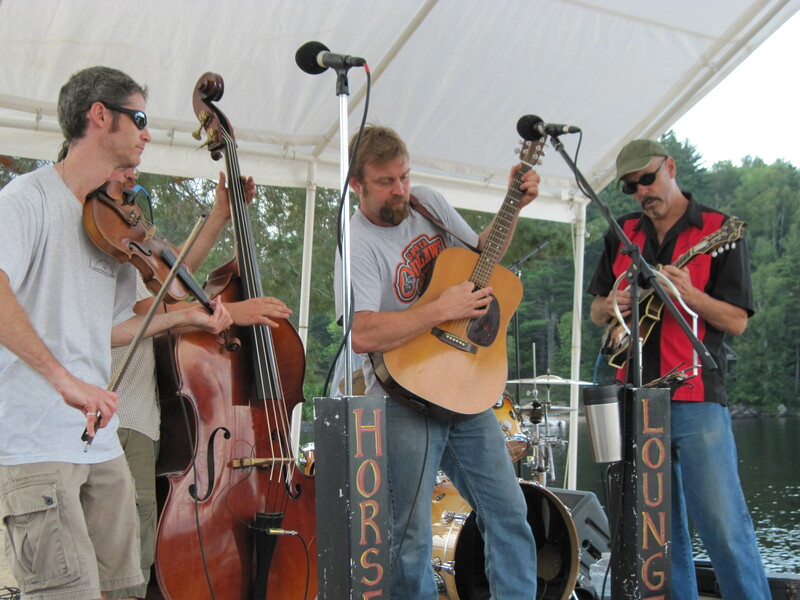 The Horseshoe Lounge Playboys perform acoustic backwoods Americana rockin’ roots and blue grass music. HLP performs an obscure repoirte of compositions written by all five musicians blended with material exhumed from musical tombs stretching from Appalachia to Memphis. From foot stompin old time fiddle tunes to ballads, HLP’s music is anchored by powerful vocal harmonies backed by guitar, fiddle, mandolin, acoustic bass and percussion. From time to time HLP plays unplugged & acoustic as The Bicycle Thieves of Berlin. 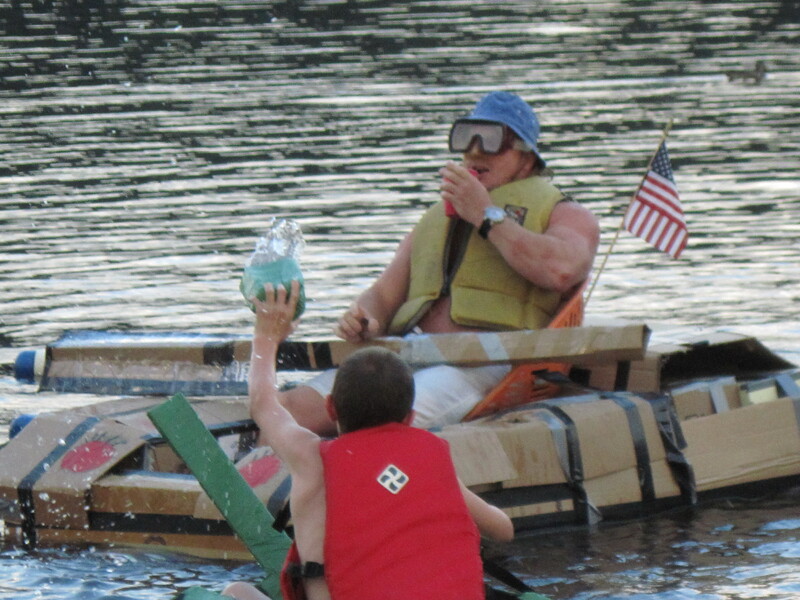 At 6pm look for the second Cardboard Box Float Races on the water’s edge. 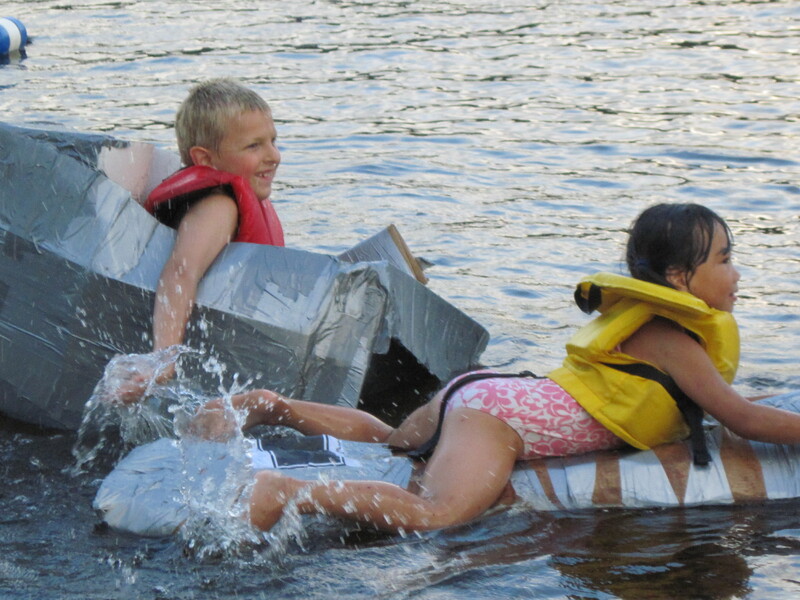 Participants are encouraged to build their own float boat out of cardboard and duct tape. A team can make the boat, but only one passenger rides. No one can touch the other boat, but you can do your best to try and sink your opponent. The winner is determined by the one boat that doesn’t sink. In July the race ran over five minutes in lenght after most entries sank moments after launch. The Town of Long Lake will have some cardboard and duct tape available, but recommends you build (or start) your own at home. The Town Beach will be open until 8pm with Live Music and games. Floating on your inflatable toys starts at 4pm. 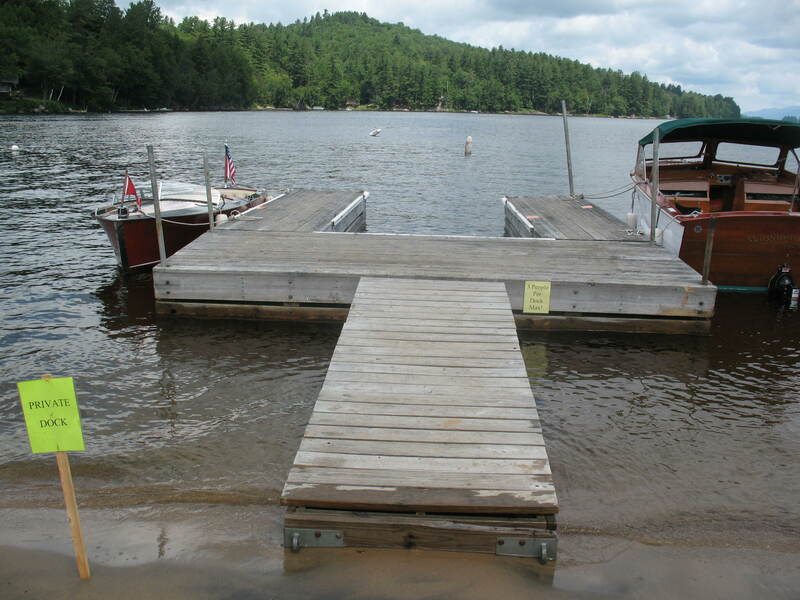 Please note, there are no floats allowed out to the town dock. Small children must stay in the designated area, but grown ups are encouraged to float as well. Last month prize sponsors from the Town of Long Lake included: The Cellar, Kickerville Mobile, Raquette River Outfitters, Helms Aero Service, The Knoshery/LL Boat Tours, Northern Borne, Hoss’s Country Corner, Adirondack Hotel, , Natural Beauty Salon, Peaceful Gardens Greenhouse, Shamrock Motel and Cottages, The Spinning Wheel, Minerals Unlimited, Adirondack Cottage Store, Quackenbush’s Long View Wilderness Lodge, Cyber Creek Cafe, Custard’s Last Stand, Karen’s Therapeautic Massage.